Green Thumb in Bellingham Serving Bellingham, Ferndale & Lynden for nearly 30 years! BELLINGHAM- Award-winning lawn maintenance business Green Thumb Company will be offering free quotes for a multitude of services this fall. Green Thumb Company serves both commercial properties and residential customers in the Bellingham, Ferndale and Lynden area. 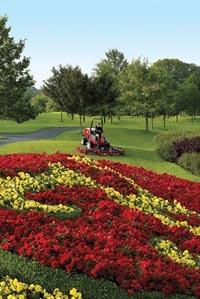 Services offered will include yard cleanup, leaf cleanup, pruning, hedge trimming, lawn mowing, bark spreading and more. Grounds maintenance will also be available through 12 month contracts. Green Thumb Company has served the Bellingham area for almost three decades. While the company has evolved from what originally consisted of an old truck and a few lawnmowers to a now full-service residential and commercial grounds maintenance business, the dedication and passion of husband and wife owners Allen and Amy Harmon has never ceased. Allen and Amy’s love for gardening and work ethic began with their parents. Each grew up surrounded by lush lawns, blooming flowers and thriving gardens. The tradition is now growing in their two sons, who show a love for dirt, as well as a desire to learn more about the family business. The Harmons’ employees are no exception to Allen and Amy’s work ethic. The company earned the US Commerce Association Best of Bellingham award for 2012, 2015 and 2016. For more information about Green Thumb Company, visit www.greenthumbcompany.com or call (360) 671-5296. Click here to subscribe to our Blog and we'll send you (via email) our best DIY landscaping tips & tricks, as well as bunch of other information about how to keep your Whatcom County yard and landscape happy and healthy!